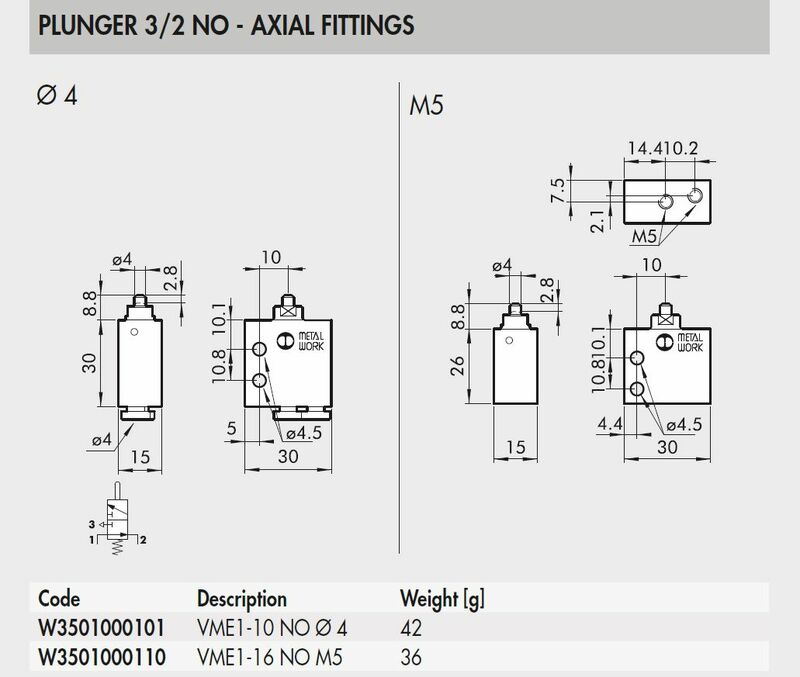 W3501000101 VME1-10 3/2 NO Axial fittings Ø 4 | DamenCNC B.V.
Mini Valve NO hand operated. Most often used on 22mm panel buttons, mounted on the back. 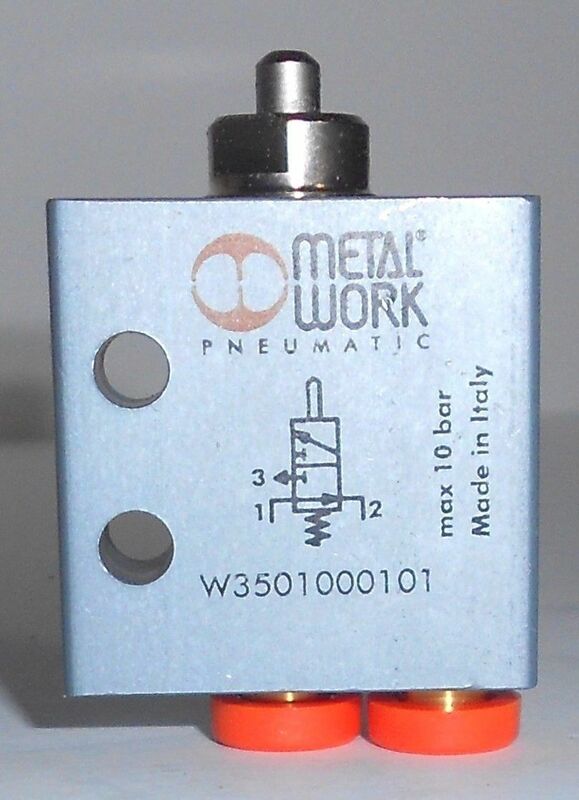 This allows you to make a pneumatic signal instead of an electrics signal. 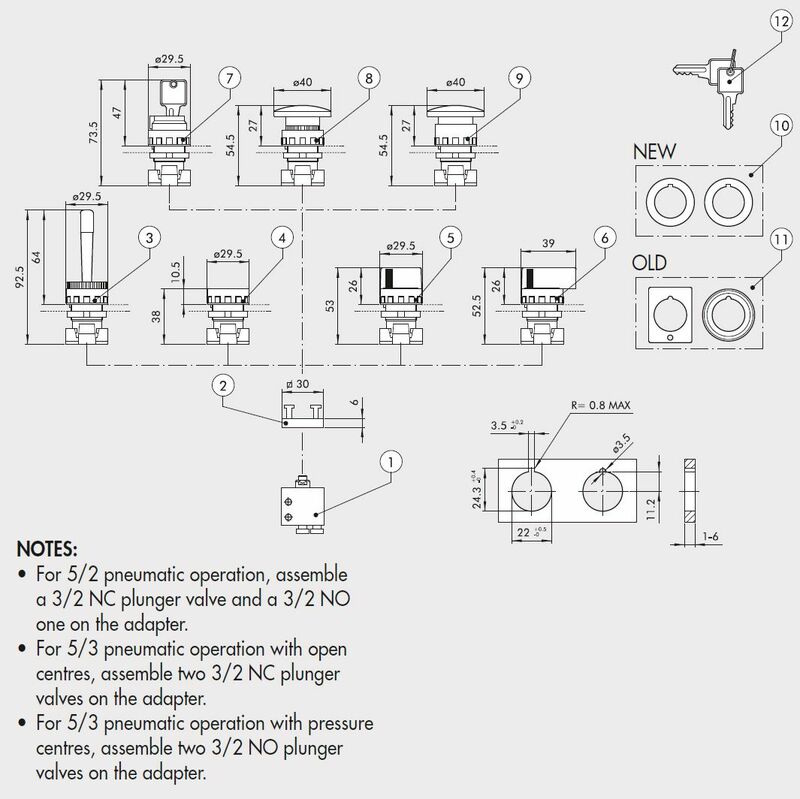 Combining this signal with bigger 3/2 5/2 valves, that are pneumatically operated, allows you to make a 100% pneumatic system. In some applications this is a nice feature. 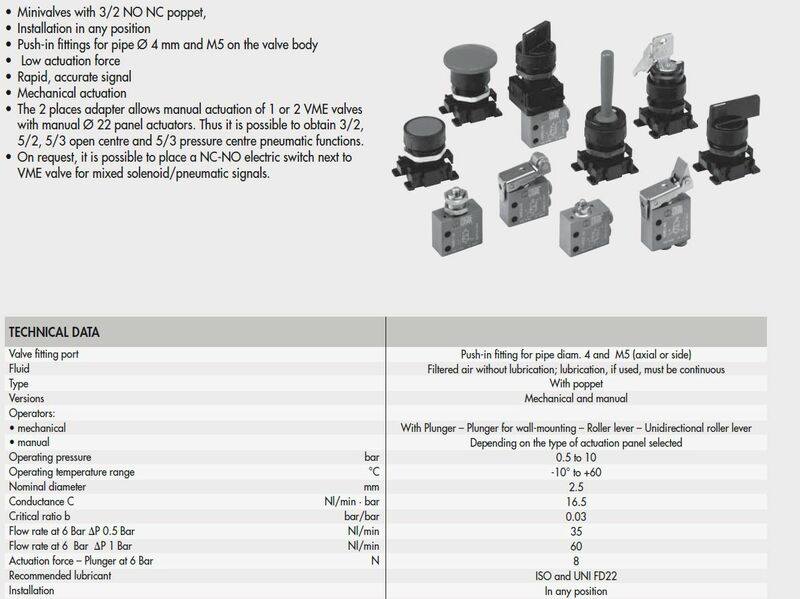 We sell all these components with 4mm fittings. This is compatible with the logic elements that also have a 4mm connection. Using this button in combination with LOGIC elements allows you to make even more advanced features. 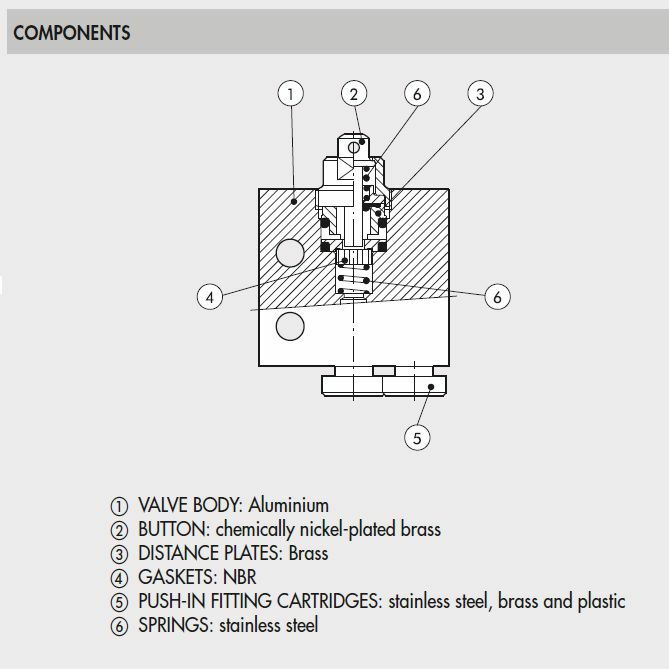 For example a 2 hand operated system, or having a set of pneumatic cylinders work in a certain sequence order. Its amazing what is possible just with pneumatics.